Have you ever tried to discuss high-level strategy with someone but instead found that they were more focused on the smallest detail in a new website or brochure. Does every attempt you make to plan out a high-level strategy devolve into overly detailed tactical ponderings? Recently I worked with a client that had TNT or the Tactical Nervous Tick as I like to call it. Every time I brought up high-level marketing strategy the client would push the conversation back to how the case studies should have photos on the left hand side of the page instead of the right. I knew their logo was being misinterpreted by even long-time clients in ways that were misleading and inappropriate. The client brushed off this glaring brand problem in favor of an in-depth discussion about the difference between “services” and “solutions” in the website’s main menu. Now in all fairness the discussions the client wished to have were important in their own right. The only problem was that EVERY conversation focused at the tactical level. Marketing strategy was largely ignored and determined only by the sum of small uncoordinated tactical efforts. You can imagine the result. It led to knee-jerk reactions to the latest marketing trend rather than steady progress toward building a better business backed by solid thinking. Not one to point out a problem and not offer a solution, I present the four pillars of strategic thinking. 1. Objectives: An objective is a high-level achievement. The simpler the better, like “Improve customer loyalty” or “Grow our market share.” They can also be mountain-tops of company success: “Make our brand a word of mouth success story.” They could be trying to solve a nagging, systemic problem or doing something big, like entering a new market. Objectives are a rally point for leaders who manage day-to-day efforts: “Will the idea being pitched to me help us reduce our churn?” or “Will this project help us develop a new market?” Objectives sit at the top of the strategic plan, and an ideal plan has no more than a handful of them. 2. Goals: A goal is anything that’s measured. Goals can be revenue, profit margin, members in a community, certifications delivered, etc. Goals determine how you fulfill an objective. Multiple goals can, and should, support a single objective. A goal of “customer satisfaction rating of 75%” can support multiple objectives like “become a word of mouth success story” and “deliver best-in-class service.” A goal is based on numbers. 3. Strategies: A strategy is a way to describe a series of tactics, or very specific actions. In sports strategy is often described as an action: Play man-to-man coverage. The commonality is action performed by a team or group of people. Each strategy description begins with a verb to signify that something is being done. Example verbs include: create, hire, develop, launch, etc. 4. Tactics: A tactic is a very specific action. In our framework, a tactic might be “create a new website” or “redesign our collateral system to serve a new market.” Each tactic has an owner who may rely on the work of multiple people in direct or dotted-line reporting relationships to make the tactic work. Tactics are best, too, when they are preceded with a verb. Specificity is the driver to improvement. For those of you who recognize that you have the TNT bug there is help. 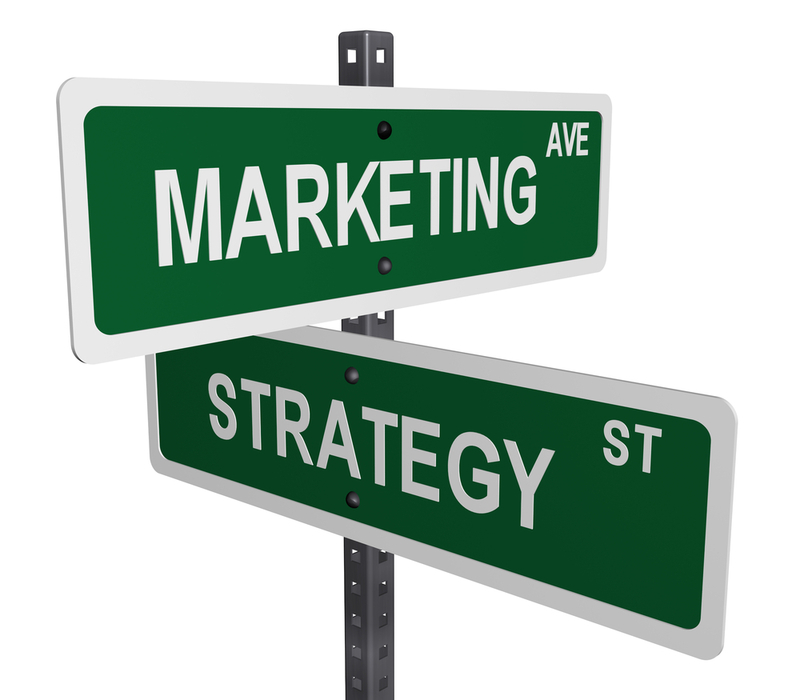 Begin using this simple four step planning process to guide your marketing efforts. This framework will provide direction for your day-to-day tactical efforts as well as give your business a strategic plan for long-term success.